Home Entertainment "WIG DANCE", THE BUMPER SONG BY OZZYBEE & ZLATAN IBILE DROPS! 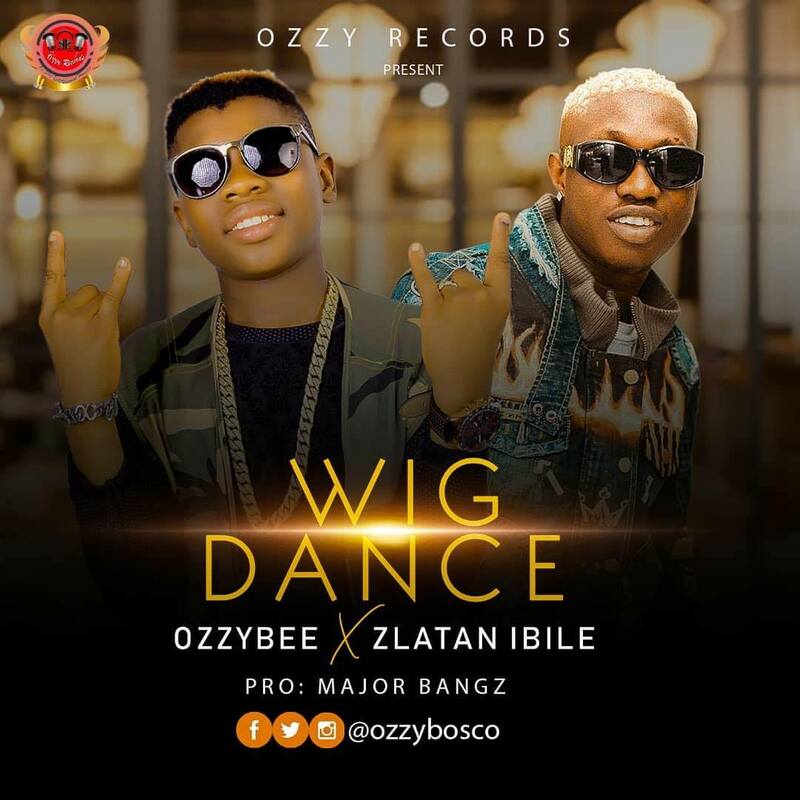 "WIG DANCE", THE BUMPER SONG BY OZZYBEE & ZLATAN IBILE DROPS! Scintillating and ever vibrant young artiste and SongStar, OzzyBee a.k.a OzzyBosco has dropped a new banger titled "Wig Dance" which featured the Zanku crooner himself, Zlatan Ibile. The song is a super collaboration between the two extremely talented young-stars, which is bringing out with it; a new Dance Step tagged "Wig Dance". Speaking to “Precious Eze’s Blog” on the new release, Ozzybee said that this effect is one of its kind from him as an artist, especially at this time when creativity in the industry is not allowing the profiting of lazy artists anymore, and so, I had to be on the 100% rating so as to be the best amongst the best and with what I do, which is music. Collaborating with the current sensation, ZLATAN is another thing that has added value to this song, as he is very talented as I am and our collective effort in doing this has been worth it, for which I am very grateful to God for. So, I plead that you go, Listen and download through major blogs platforms worldwide and feel the sensational groove of Ozzybee's "Wig Dance", he ended.